Pinecam.com • View topic - Reel Recovery Retreats for men with cancer. 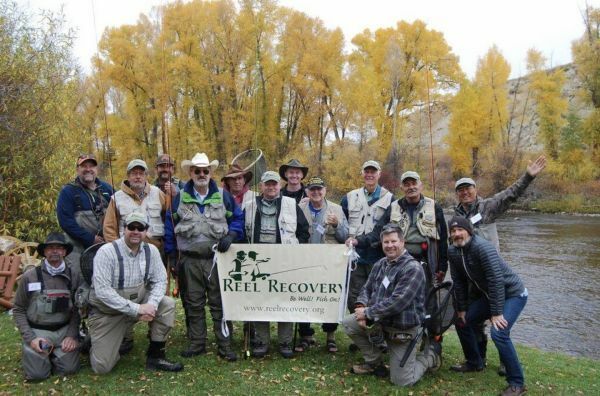 Reel Recovery Retreats for men with cancer. Post subject: Reel Recovery Retreats for men with cancer. Don't know if anyone is aware of Reel Recovery fly fishing retreats. They are for men, at least 21 yrs.of age,living with any stage of cancer from diagnosed through remission. I went to one in Kremmling and cannot recommed the experience enough! Completly free of charge minus transportation. Lodging, food, equipment and a persoal guide/volunteer provided. No flyfishing experience necessary. They sponsor events pretty much nationwide. So maybe someone you know in another state with cancer might be interested. For full details of their mission and events, check them out online @Reel Recovery.org to apply or call 800-699-4490 for more onfo. This year in Colorado there are 2 retreats, first one in Shawnee, April 29th, the second in Kremmling, September 27th. It's an oportunity for men to talk and relate with other men in open discussion about their personal experience with this disease.